A delicious fish cake made with cod fillet and chunky Lincolnshire potato. These wholesome Cod Fish Cakes combine top quality fish fillet and potato, seasoned with a sprinkling of herbs and coated in a crispy golden crumb. Our fish cake range is produced with care in Grimsby to our own recipes. 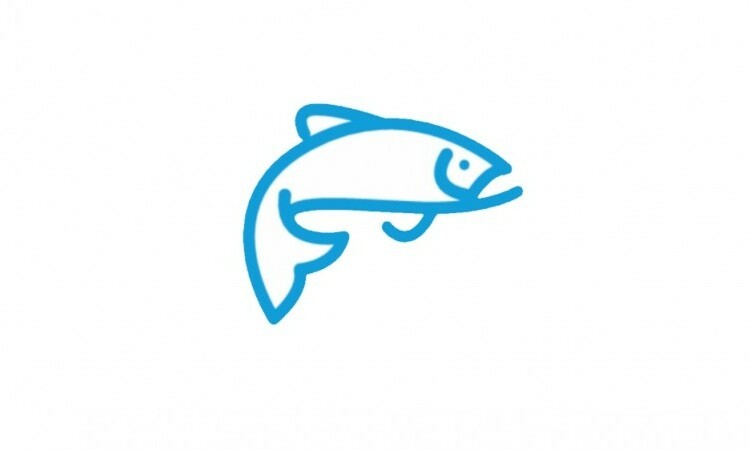 We combine fish with locally-sourced ingredients, then fast-freeze to deliver all the fish’s natural freshness, flavour and nutritional value to your plate. The only extra additives are our knowledge and our fish expertise. Our fish cakes are supplied in a simple cardboard sleeve which is fully recyclable in normal domestic waste streams. For best results, cook from frozen. For lower fat, we recommend oven cooking or grilling. To oven bake: Pre-heat oven at 200°C / 390°F, Gas Mark 6. Preheat a baking tray. Remove fish cakes from box, place on the hot baking tray and bake for 27-28 mins, turning half way through cooking. Leave to stand for 1 minute before serving. To grill: Pre-heat grill on medium-high heat. Remove fish cakes from box, place on baking tray and grill for 12 mins, turning half way through cooking. Leave to stand for 1 minute before serving. To shallow fry: Pre-heat 2-3 tbsp of vegetable oil in a frying pan on medium heat. Remove fish cakes from box and shallow fry for 8 mins, turning half way through cooking. Leave to stand for 1 minute before serving. Check fish cakes are piping hot before serving. Keep Frozen. Do not refreeze once defrosted. Store at -18°C or below. Please see ingredients in bold. Our premium home delivery service means we can deliver our delicious seafood nationwide - direct to your door. If you order direct from us, UK delivery for orders over £40 is free to most UK postcodes. Orders below £40 in value will be subject to a £8 delivery charge (this charge is inclusive of VAT). Because our products are frozen or chilled, we are unable to take orders which require delivery outside the United Kingdom. If you live in the Scottish Highlands or Islands, Isle of Man, Channel Islands, Scilly Isles or Northern Ireland, please contact us before ordering on 01472 355217 to discuss delivery options. Due to the nature of our products, we only make home deliveries once a week, on Thursdays. To receive a Thursday delivery, you must place your order before 5pm on the preceding Tuesday. We will contact you via phone or email to confirm your order has been received and to confirm the delivery details. Please note: Our BigFish team will be taking a well-earned break over the Christmas period. Any orders placed after Wednesday 19th December will be delivered on Thursday 3rd January. Do I need to be in to receive the delivery? We suggest that you try to be at home to accept delivery of your order which will normally arrive on Thursday between 9.00am and 6.00pm. We pack goods sufficiently to keep them chilled/frozen in a cool area, where they can be left for up to four hours if you cannot be in. You can let us know what to do with your delivery if you’re not going to be in, such as leaving it with a neighbour or in a cool, dry and secure place. Your order will be packed in an insulated box and will arrive either frozen with dry ice or chilled with reusable ice packs to keep the product in tip top condition. Handle dry ice with care as it can cause ice burns – full information on this is shown on the box when you receive it. Yes, by all means. Please telephone our friendly team in Grimsby on 01472 355217 to place an order between Monday to Friday 8.00am to 5.00pm. We’re always looking for ways we can get better at what we do. Please drop us a line (contact@bigfishbrand.co.uk) if you have any suggestions, we’re all ears!